Choosing your wedding cars isn’t as simple as picking the model of car you want. We have some great wedding car tips to make the road a lot easier to navigate! When deciding what to use for your wedding car, several things can make the entire process far more manageable. Could some wedding car tips from the professionals help? We think that the following wedding car tips could make your big day a little easier. The best wedding car hire services tend to book out quickly. For that reason, we recommend that you arrange your wedding car hire as soon as possible. This means booking at least several months in advance, especially if you’re looking for a specific type of car. Booking in advance will not only reduce stress, but ensure you have one less thing to worry about for the big day. You should always check the cars out first hand, and try to make the booking in person too. This way you know exactly what you are getting on the day, from the look of the car to the features and internal space. One of our favourite wedding car tips is often overlooked. It’s also a good idea to research events in the same vicinity of your venue, or check traffic in this area on the day of the week you have chosen. The last thing you want are any delays as a result of peak hour congestion or event traffic. While you will most likely have an experienced chauffeur behind the wheel, and will be advised of any potential issues, it pays to be aware of any possible traffic problems yourself. If you have a wedding car hire arrangement, make sure you have everything in writing and read the contract carefully before you sign your name! Double check the fine print – this includes arrival times, departure times, addresses, colour, make and model, refund policies, cancellations, service fees and what you are liable for in case of damage. Also make sure that you keep all receipts or financial records. Ask what makes and models are offered, and see what will best suit your circumstances. Chances are you already have a clear picture of what you would like, but it is worth keeping your options open. Be clear regarding how many people will need transporting and how many cars you would like. Are you after some more wedding car tips? You should ask about any possible additional costs, and maybe even ask for details about the drivers’ uniforms. Do they provide food or drink in their cars – and are these part of a package or an additional cost? What happens in the case of rain or unfavourable weather? How long does the hire period last, and are there overtime fees if the vehicles are required longer than expected? 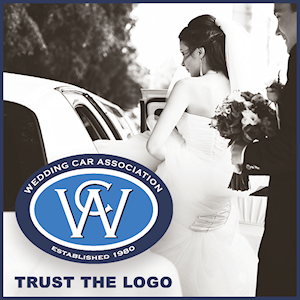 Members of the Victorian Wedding Car Association are amongst the best wedding car hire companies in the state. If you choose one of our members for your big day, the tips you have read here will be automatically addressed, and you’ll have peace of mind that your wedding transport will run smoothly as well as looking fantastic. For more information, check out our online directory, where you can view and contact all of our members. And be sure to follow us on Facebook to keep in touch!